… then weird things start to happen. 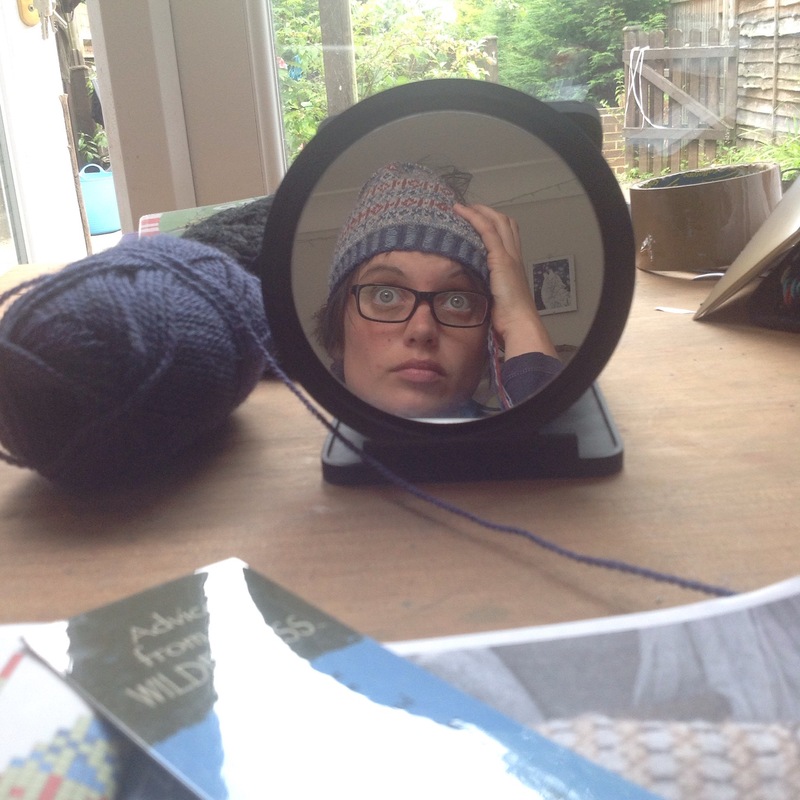 It goes like this: *knit away following a chart/ unravel half of your work* repeat from * to * for an indefinite period of time – Like you have been sentenced to crawl through Hades for eternity. 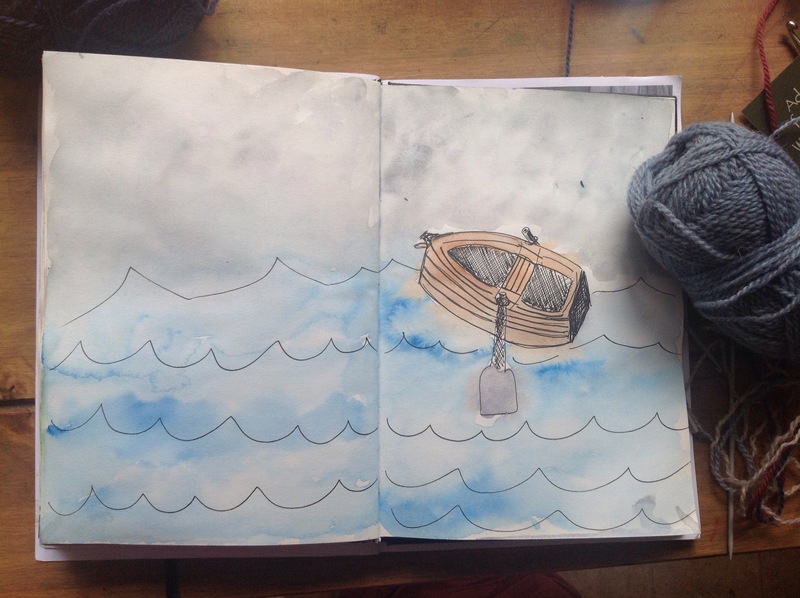 So I had to have breaks and reach out for my sketch book, pen and paint box – before my brain started to turn into wool and begin spinning itself into balls of yarn. – I wanted to draw a fist rising from the water… but I didn’t. My living room table is covered with a mixed pile of yarn, needles, watercolours and brushes… and yoga homework. Aaaah !!! et tu as tricoté le casque d’Hadés qui le rend invisible !